Andrew Lloyd Webber was 17 years old when he began composing musical theater, the same age as Joseph when we first meet him in the Torah, in this week’s parasha. Joseph made Lloyd Webber famous when the play Joseph and the Amazing Technicolor Dreamcoat became his first public production in 1972. 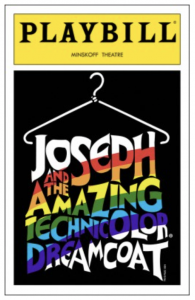 Joseph remains one of the most performed musicals of all time—it has been staged over 20,000 times by schools and amateur theatre groups alone, not to mention professional productions. What accounts for the enduring acclaim of this biblical saga and its modern musical iteration? 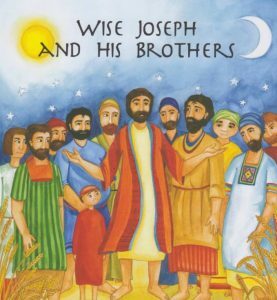 Like many Torah tales such as Noah’s Ark and the Tower of Babel, the Joseph story has appeal to readers of all ages. 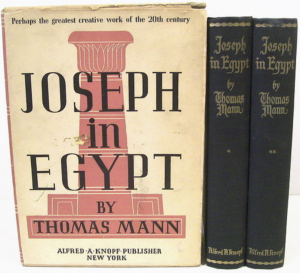 It is profound enough to be the subject of a four-volume work by Nobel laureate Thomas Mann, and accessible enough to be understood and enjoyed by elementary school students. This latter point was capitalized upon by Webber in the singable songs and chromatic costumes that make the play so playful and memorable. Joseph also explores timeless themes surrounding the human condition: sibling rivalry, arrogance, jealousy, guilt, revenge, and forgiveness. Re-reading the story each year, we can find renewed relevance and meaning in its message; it never gets old. And yet, this is also true of most biblical narratives, which is why the Bible remains the best-selling book of all time, two millennia after its publication. What is different about the Joseph story is how its protagonist learns, develops, and matures—intellectually, morally, and emotionally. While other biblical characters grow older, Joseph grows wiser, smarter, and kinder. When we first meet Joseph he is a cocky and impetuous youth who gloats to his brothers about being the favourite son of his father. As he develops ethically he learns to resist temptation; when he gets a job he learns to be a good worker; his time in jail makes him a more empathetic person; while serving as Pharaoh’s viceroy he becomes savvy about politics and economics. He dies a wise and caring leader, father, son, and brother. Simple enough for the young reader. It is this evolution that makes Joseph stand out among other great Israelites, and makes his biography resonate so deeply. 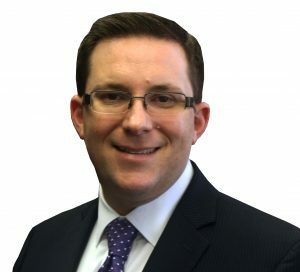 Joseph teaches that people can change, evolve and improve through effort, education, self-reflection, and determination. He is a model for us all. We begin the story of Joseph during the week of the Akiva Staff Retreat. The retreat is an opportunity for our staff to learn, grow, and evolve as educators, administrators, and as people. In the spirit of Joseph, the retreat is created with the conviction that people of all ages can change and become better at what we do, and who we are. The sessions this year revolved around our role in fostering a culture of kindness across the Akiva community—students, staff, and families. We learned new skills to make us more sensitive teachers and administrators, and innovative strategies to address conflict, social tension, and bullying. After two days we emerged smarter and wiser, better equipped to address the needs of our children and each other. The retreat is also an opportunity to model life-long learning for our students. 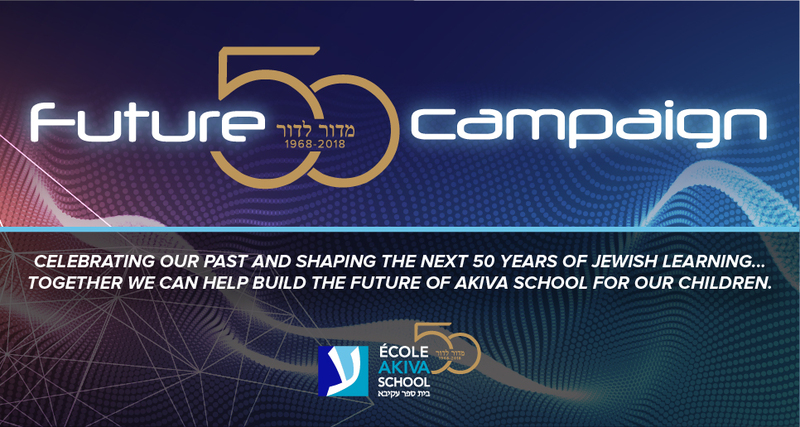 Akiva students see that their teachers and administrators are also always studying and improving—we ask of ourselves the same investment that we expect from them. The Akiva Staff retreat is sui generis in the Jewish and Independent School world. I know of no other school that takes its faculty and staff off campus for two full days of learning during the course of the school year. And yet, the type and level of professional development we are able to accomplish can only happen in this type of setting, and at this point in the academic calendar. Much of what continues to distinguish us as a school is the result of this singular program. I would like to thank all of our Parent Day volunteers who planned, staffed, and supervised our students so that we could benefit from this most special PD. A special thank you to Jennifer Lassner Rosenblum and Mara Greenstone Agulnik and the Parent Day Committee for your leadership. Thank you also to our faculty and staff who left their families for two days and nights to learn and—like Joseph himself—dream how to become finer people and more sophisticated leaders.